Now that the weather has turned and colder temperatures have moved in, you might think that outdoor home improvement projects have to be put on hold. But with sod, cooler weather can be a big benefit. 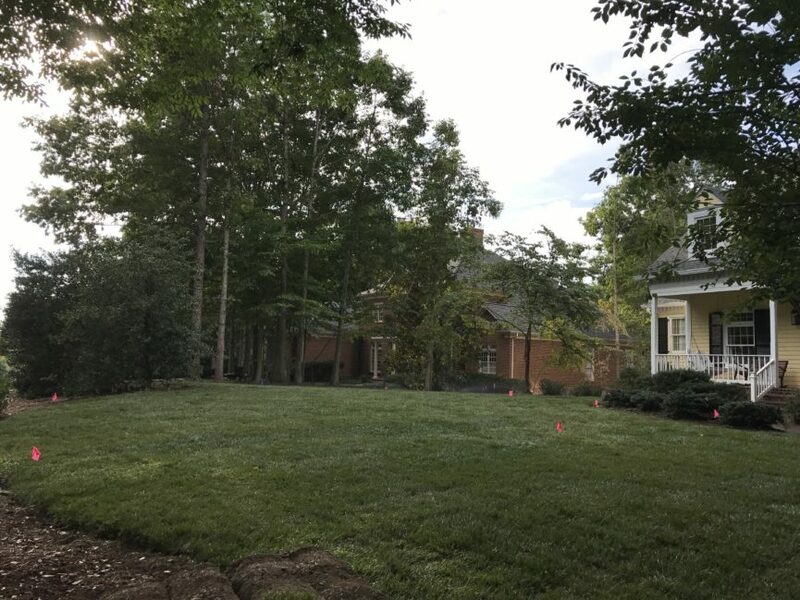 Charlottesville sod installation is one of the services we offer for a perfect fall project that will improve your property quickly and for the long term. On a recent sod project, we were very pleased with the final look and outcome of the job. The homeowner contracted us for earthwork and sod installation. Roof water was not properly draining away from the house, which could have led to foundation problems in the future. Proper water management around your property is critical for the life of your foundation and the longevity of your investment. We piped downspouts away from the house to ensure water runoff was given a good place to go. Then we laid sod to complete the project, giving the lawn an immediate, finished look. We love sod, for more than just the instant gratification. What’s so great about sod? Erosion control. If Reynolds Contracting is the hero of the story, water is the bad guy. Whatever we are trying to accomplish, whether its foundation preservation, proper turfgrass management, or good drainage around your property, water is almost always the villain hindering our goals. With grass growth, water is essential, but it can also be the bad guy due to erosion and improper flow around your property. When installed properly, sod effectively prohibits erosion from ruining your yard. Seeding is much more likely to wash away or be damaged by water running off or settling in the wrong places. Mature, hearty grass. Sod is transported when it has fully taken root as a mature, hearty grass. Conversely, seeding starts with a seed (of course! ), which then develops into tiny seedlings that are much more vulnerable to temperature changes, drought, and other conditions that affect turf growth. By starting with sod, you’re greatly improving your chances of the long term survival of your grass. Flexible planting timeline. Sod installation is much more flexible than seeding when it comes to the time of year. Seeding is most successful in the fall, but there is possibly a very short window of time before temperatures are too cool. Sod can be installed anytime during the growing season, as long as adequate water is made available. We recommend fall for sod installation, though, because less water is required than in the scorching summer months. Avoiding weeds. As you water your tiny seedlings, consider the other weed-seeds you might be cultivating… On the other hand, watering sod means you’re watering grass, with little room for weeds to crop up. 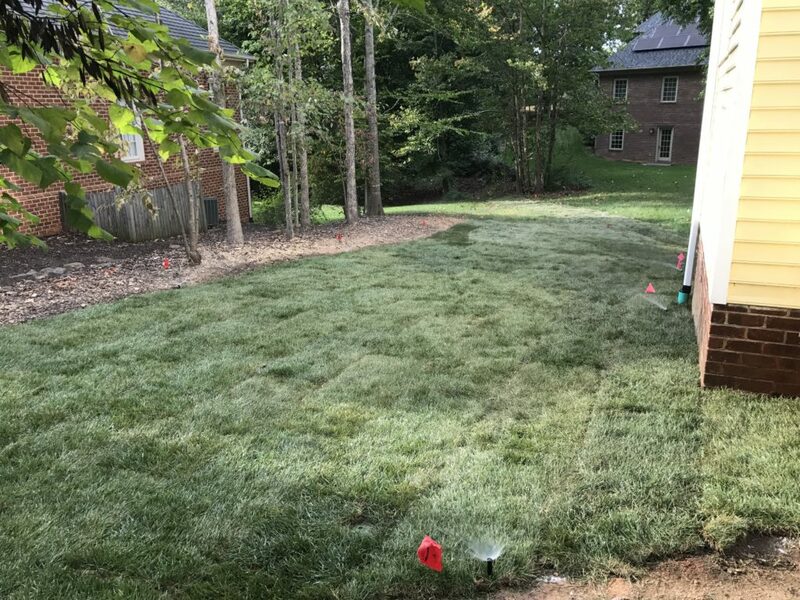 If installed by a professional like Reynolds Contracting who specializes in Charlottesville sod installation, weeds have little room in your lawn because of the placement and care we take with each piece of sod. Cleanliness. Sod keeps your property much cleaner than seeding. Goodbye, dust and mud – hello, lush grass! You can keep all of that dirt out of your house because you can walk on sod soon after it is installed. With seeding, you won’t have use of your yard for quite awhile, with dust and mud lingering well after the seeds are planted. And depending on how many seeds fail to germinate, you may have muddy patches that require reseeding, extending the dust and mud for even longer. Now that you’re convinced sod is the best choice for your lawn, remember that the sod installation is only as good as the installer. Reynolds Contracting provides professional, expert sod installation at an affordable price. For any Charlottesville sod installation, give us a call at 434-293-6724 and we’ll give you an estimate!